The SHAPE COMPOSITE RIDER handheld camera support, primarily designed for DSLRs and video cameras, provides an offset position. The camera is centered in front of your eye for use with the viewfinder. The SHAPE OFFSET RAIL BLOC can be attached to the left or the right of the SHAPE PAPARAZZI RISER. Featuring the SHAPE QUICK HANDLE ROD BLOC, the SHAPE 15MM ROD SYSTEM PAPARAZZI RISER includes a PAIR OF 15MM FEMALE-FEMALE RODS 8”, the SHAPE OFFSET RAIL BLOC, the PAIR OF 15MM MALE-FEMALE RODS 4″, the SHAPE DOUBLE SLIDING ROD BLOC, the SHAPE PAPARAZZI I HANDLE WITH BLOC, a PAIR OF 15MM FEMALE-FEMALE RODS 8”, the SHAPE MINI COMPOSITE SHOULDER PAD, the SHAPE BACK PAD and the CAMERA SCREW KNOB (¼-20), the SHAPE COMPOSITE RIDER secures the camera and accessories firmly for mobile applications. The unique patented SHAPE QUICK HANDLE push-button technology features 2 SHAPE handles that can rotate individually on a 360-degree axis. With a simple push of the red buttons, the SHAPE handles can be rotated. Once the red buttons are released, the SHAPE handles will be secured firmly in place. You can achieve precise positioning by sliding the SHAPE QUICK HANDLE ROD BLOC along the rods and tightening the red knob on the SHAPE ROD BLOC. The locking mechanism is made of stainless steel for more durability. Equipped with a SHAPE 15MM ROD SYSTEM PAPARAZZI RISER, the SHAPE COMPOSITE RIDER enables you to raise the camera directly above the camera support. The system includes a PAIR OF 15MM FEMALE-FEMALE ROD 8” and features a variety of threaded holes (1/4-20” and 3/8-16”), located on the base, to attach a tripod plate and different types of monopods, while the holes in the front and rear of the SHAPE PAPARAZZI RISER are used to attach various accessories such as a SHAPE SLIDING ROD BLOC. With a camera base height of 2″ and slot length of 4 in., the riser system allows you to slide the camera back and forth to obtain the best position. 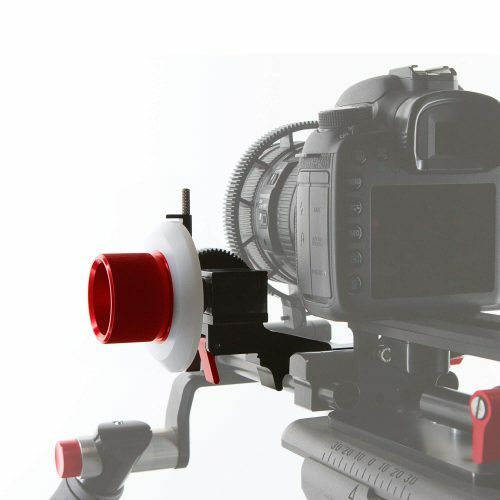 It can be used to attach a video camera or a DSLR. The PAIR OF 15MM FEMALE-FEMALE RODS (8″), located at the front, are used to attach accessories such as matte boxes, 35 mm lens adapters and follow focus mechanisms. The threads enable you to use either 4″ or 6″ rods (½-13″). 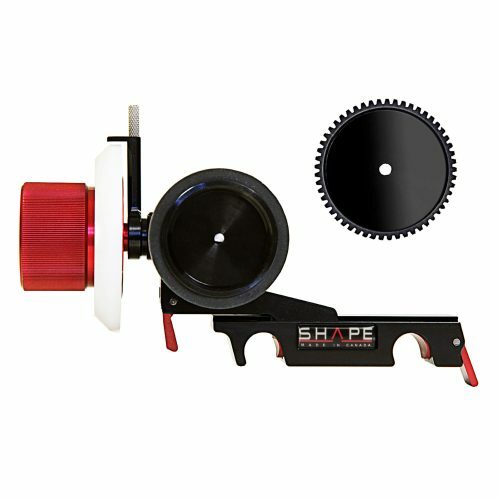 You can offset your camera to the right or the left of the SHAPE PAPARAZZI RISER by using the two black screws on the SHAPE OFFSET RAIL BLOC to create more or less distance between the camera and the shoulder mount.? 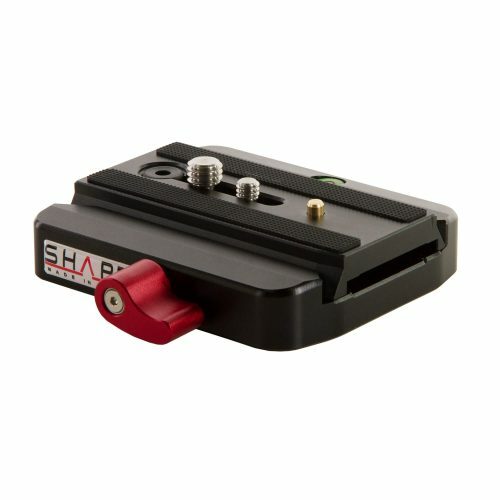 ?The SHAPE OFFSET RAIL BLOC is used for attaching the SHAPE PAPARAZZI RISER to the left or the right of the 15 mm rods enabling a right or left handed user to work with the camera support. It provides two threaded holes on one side which are used for screwing the SHAPE OFFSET RAIL BLOC to the front of the SHAPE PAPARAZZI RISER with a 4 mm Allen key. A second SHAPE OFFSET RAILBLOC can also be attached to the back of the PAPARAZZI RISER. 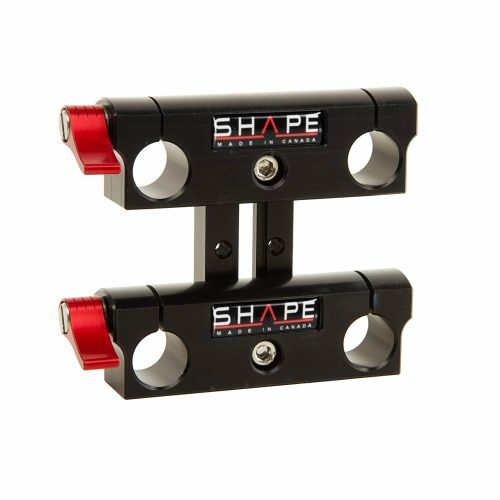 The SHAPE OFFSET RAIL BLOC is then used for attaching a SHAPE COMPOSITE SHOULDER PAD such as the SHAPE SHPAD1, the SHAPE SHPAD2 or the SHAPE SHPAD3 by inserting rods. The PAIR OF 15MM MALE-FEMALE RODS 4″, located at the back, are used to attach the MINI SHAPE COMPOSITE SHOULDER PAD and other accessories. The threads enable you to use either 6″ or 8″ rods (1/2-13″). The SHAPE PAPARAZZI I WITH BLOC is a different version of the popular SHAPE PAPARAZZI I HANDLE. 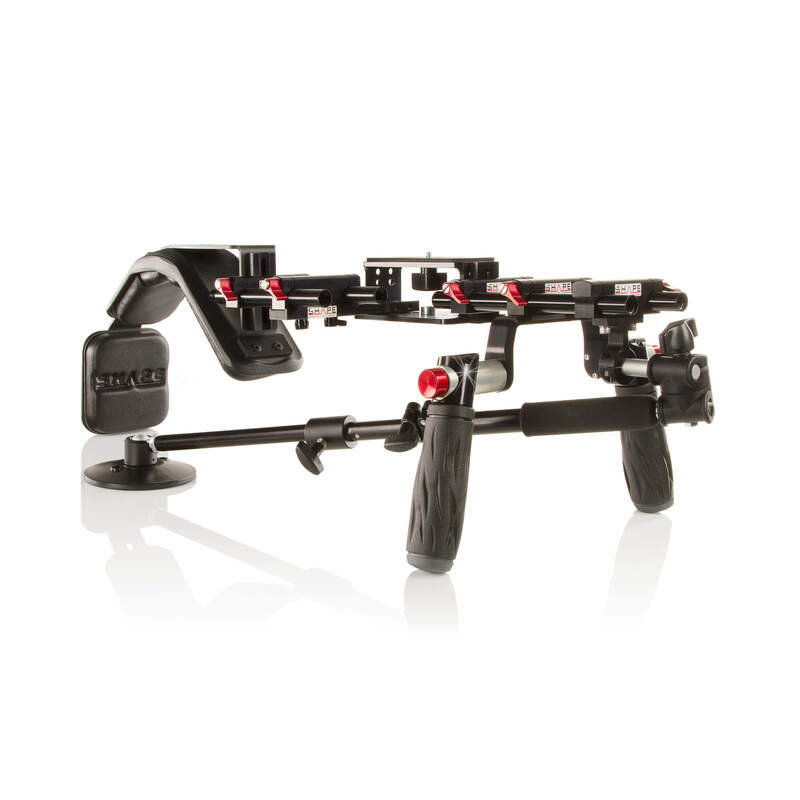 It provides a SHAPE ROD BLOC at one end for the user to choose the best set up on the camera support and still offers the same accessory attachment options. The SHAPE PAPARAZZI I WITH BLOC provides a parallel position instead of a perpendicular one and can be attached in two different ways. It is compatible with most SHAPE COMPOSITE Series models: SHAPE COMPOSTAB, SHAPE COMPOGRIP, SHAPE COMPOF3 and SHAPE COMPORIDE. Padded for superior comfort, the SHAPE MINI COMPOSITE SHOULDER PAD rests on your shoulder comfortably such that the body supports the weight of the camera and its accessories. A CAMERA SCREW KNOB (1/4-20) is included with the shoulder pad which is powder coated with a special finish for a professional look.? ?Optional: It is possible to add a RODSUP1: SHAPE ROD BLOC to attach more accessories on the shoulder pad. Black powder-coated paint for a professional look, the SHAPE BACK PAD offers the camera support superior comfort and stability. Padded on one side, it is attached to the SHAPE MINI COMPOSITE SHOULDER PAD via a CAMERA SCREW KNOB (1/4-20). You can adjust the position of the SHAPE BACK PAD to suit your body type with a vertical adjustment of 2″ and a horizontal adjustment spanning of 360 degrees. The CAMERA SCREW KNOB (1/4-20) allows easy attachment and removal of the SHAPE BACK PAD.? ?Optional: It is possible to attach a SHAPE BOX on the SHAPE BACK PAD using the threaded holes (1/4-20).